A terrible accident changed the life of Wesley Perez in 2006. Working as an electrician, Perez, then a strong and healthy 24-year-old man, was nearly killed by a high-voltage shock as he worked on a job at a bank under construction in West Windsor. He spent 29 days in a coma. 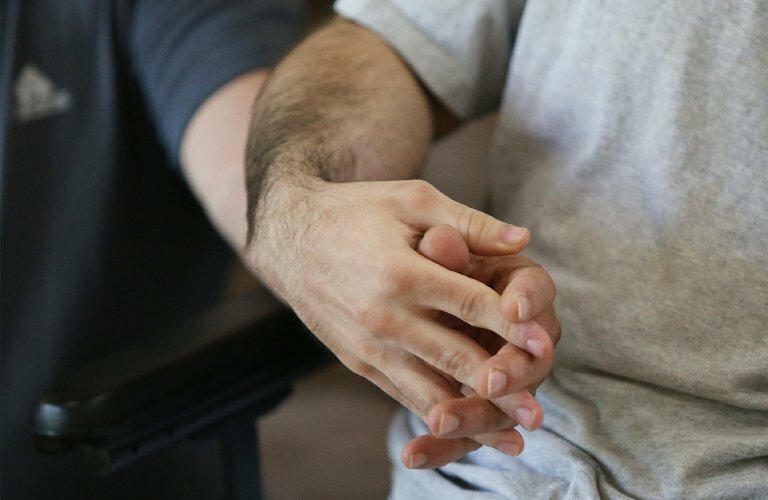 Today, at age 34, Wesley is deemed completely disabled, his father, Gerardo Perez, said. He can’t speak, dress or bathe himself, and he uses a wheelchair. “He’s in a diaper,” his father said. After the injury, the elder Perez said, all of Wesley’s medical and home health aide bills were paid by Ohio Casualty, the insurance company that covered Wesley’s employer, Best Way Electric of Jersey City, in Wesley’s workers’ compensation claim. But in November 2014, all those payments stopped. While the insurance company’s payments stopped, Perez’s expenses kept mounting. Hoping for a quick resolution and unable to care for Wesley himself, Perez continued to employ home health aides, which had been approved to offer care seven days a week, 14 hours a day. That cost is $18 or $19 per hour, Perez said, amounting to about $92,000 a year. 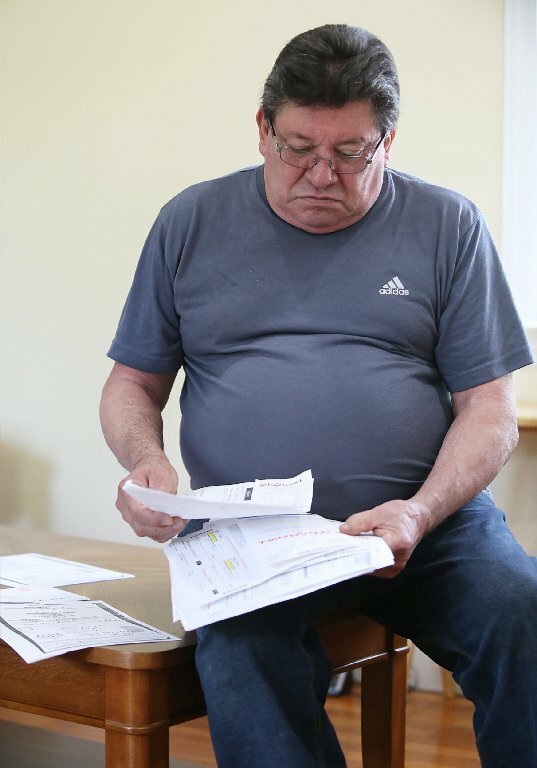 Perez, 65, a former plumbing and heating contractor who is also disabled, said he had banked all of Wesley’s benefits checks from the time he was injured. The plan was to save the money for his son Wesley’s future care. The strategy used to work just fine, Perez said. He would pay the bills and the insurance company would reimburse him. But without help from the insurance company, Perez said, he needed to use Wesley’s savings to pay for the aides and other ongoing costs, such as Wesley’s prescriptions, doctor’s visits and other expenses. When the insurance company stopped the reimbursements, Wesley’s savings dwindled fast. Initially represented by an attorney and later fighting alone on his son’s behalf as Wesley’s guardian, Perez has been in and out of the Department of Labor’s Workers’ Compensation court more than a dozen times. Each time, he said, the judges of compensation — first Randall Corman, and later, Ashley Hutchinson — sided with Perez and directed the company to pay. Court documents support Perez’s contention. For example, in an order signed on March 10, 2016, Judge Hutchinson wrote that the insurance company’s claims manager should contact Wesley’s doctor for the specs on a new hospital bed and wheelchair. Another order on March 23 and a third order on April 15 again called for the new wheelchair. By May 9, there was still no wheelchair. Yet another court order said each day a wheelchair is not provided, the insurance company may be subject to a sanction of $100 per day. A wheelchair did arrive, but it wasn’t the larger one that was previously approved, Perez said, so he refused the chair. On June 2, Ohio Casualty was ordered to pay a sanction of $300 for failing to provide the wheelchair. On June 23, the court ordered the insurance company to provide the correct chair within 10 days. Perez did finally receive the parts, but more than a month later, no one had arrived to put the chair together. Tired of waiting, he did the work himself, he said. And that was just the wheelchair. Much of the problem through the last year, Perez said, was that the insurance company kept asking for documentation, such as receipts and the certifications for the employed home health care workers. Some of the court orders required Perez to give documentation or he could face sanctions, records show. But Perez said he gave the requested documentation — all of it — at least three times. By the time Perez contacted Bamboozled, his out-of-pocket costs were more than $43,000 and rising every day, and there were another $19,000 in bills for home health aides that were not paid. “I just want this judge to make them pay,” Perez said of the insurance company, noting that the next hearing was scheduled for Aug. 4. We reached out to Liberty Mutual, the parent company of Ohio Casualty, and it promised to look at the case. We also reached out to Best Way, Wesley Perez’s employer at the time of the accident. The company owner said he hasn’t been involved in the case since the workers’ comp claim was first filed. We then spoke to several attorneys to better understand what steps Perez should take next. They said Perez should come to the next hearing armed with every receipt and all the documentation that could possibly be requested of him. Then, he could ask the judge for a motion to enforce the already drafted orders, they said. If the judge grants the motion, the insurance company could be sanctioned further or the judge could hold it in contempt. We asked the Department of Labor why that hasn’t happened already, but it said it couldn’t comment on the specifics of the case. It also couldn’t comment on whether Ohio Casualty has paid any sanctions or fines to date. Within a few days, Perez shared some good news. He said he received several calls from the insurance company. In the first call, the rep said the company would send a check for $19,000 to pay the outstanding hours for the home health aides. Perez said he was hopeful, but he was still concerned about future home health aide bills. If the insurer didn’t reimburse his other costs — the $43,000-plus — he’d have no funds to pay for care in the future, Perez said. That’s because the insurance company didn’t pay for care directly, but reimbursed Perez for approved expenses. In a second call, Perez said he was told the insurer would indeed be reimbursing the rest of the outstanding expenses. And it did. In total, the insurance company made good on more than $70,000 of expenses, Perez said after he received the money. The parties also discussed how to make sure there are no future problems, he said. We asked Liberty Mutual about the case, but a spokesman said the company does not publicly discuss matters involving individual policyholders. It also wouldn’t discuss what changed in November 2014 when the company stopped reimbursing Perez for Wesley’s expenses. Perez says that’s okay. According to him, this case is now solved. Sounds like he won’t have to ask the judge for any motions or new sanctions after all, and the Aug. 4 hearing should put this all to bed.